The next FIFA World Cup will be held from 21 November to 18 December 2022 in Qatar. As the 2018 FIFA World Cup came to a close on 16 July, a ceremony took place in the Russian capital to hand over the role of FIFA World Cup hosts from Russia to Qatar. 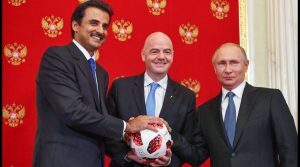 In the presence of FIFA chief Gianni Infantino, the association reported, Russian President Vladimir Putin took down from the podium the official match ball for the knockout rounds, the Adidas Telstar Mechta, and handed it to Tamim bin Hamad Al Thani, the Emir of Qatar, the country that will host the 2022 FIFA World Cup. It’s over to Qatar 2022 now. The ceremony took place in the Georgievsky Hall of the Grand Kremlin Palace where the official match ball was used in place of a baton to symbolise the changing of the host nation. The 2018 FIFA World Cup got over with France emerging ‘champions du monde’ beating Croatia 4-2 at the Luzhniki Stadium. The next World Cup will be held from 21 November to 18 December 2022 in Qatar. 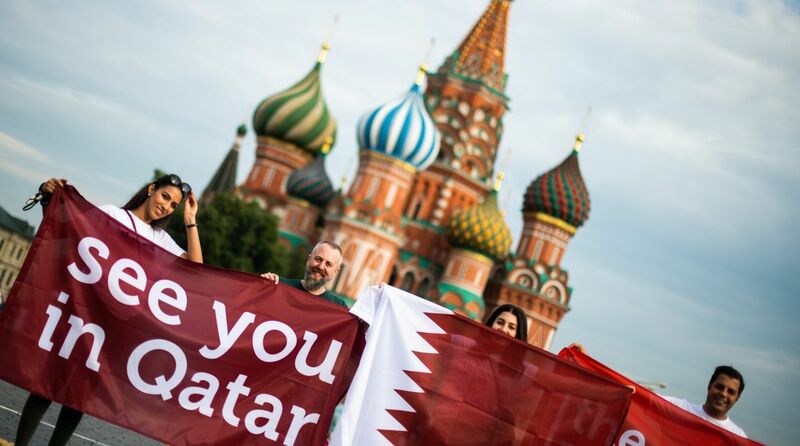 “Today is a ceremonious occasion as Russia passes the FIFA World Cup torch to the state of Qatar. The World Cup is coming to an end in Russia. We are proud of what we’ve managed to achieve for fans of this wonderful sport. The whole country has taken enormous pleasure from interacting with the world of football and the fans who have visited us from all over the planet. I am sure our friends from Qatar will manage to stage the 2022 FIFA World Cup just as exceptionally,” Putin said at the Grand Kremlin Palace.